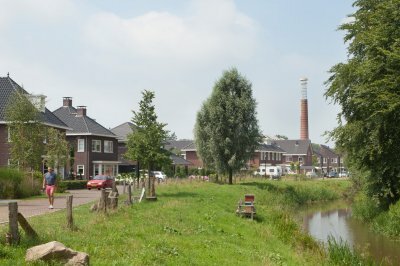 To the north of the built-up area of Denekamp lies the St. Nicolas monastery, which, in the 20th century has grown into an educational and care complex. Three areas can be recognised on the monastery grounds: around the monastery, the emphasis is on religion. The western part has a socio-economic function, whereas the eastern part has a care function. This future development of functions has been the reason to revise the layout of the entire area. In addition to a scenic vision for the entire estate, a development plan has been designed for the new care functions in the eastern part of the site. 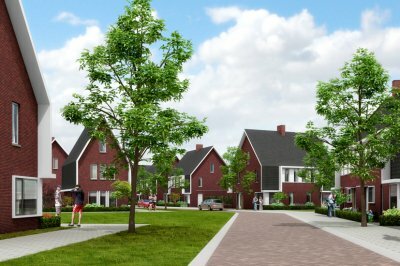 For that area, the existing watercourse and the most important sightlines were leading for the building concept that was developed together with the architecture department of IAA Architecten. The addition and expansion of supporting elements such as wooded banks, lanes and solitary areas reinforces the landscape shell in the field and water landscape. Together they form a framework of green rooms within which the new buildings will have a place and which has a varied architecture. The layout of the outdoor space is based on the existing scenic qualities and has been adapted at various points to the user requirements of the elderly and people with physical disabilities. Just as residential care centre Gravenstate, located to the west, fits in with the leafy and chic character of the monastery, so the new residential location and day care Gravenallee for the mildly mentally handicapped in the eastern area fits in like a farmyard in the surrounding landscape.